When thinking of pest control, one doesn’t often think of pigeons, especially in Gilbert, Arizona. However, these pests can be quite rampant and can often be a nuisance to deal with. For a pest control company in Gilbert who can handle your pigeon problem, enlist the help of Varsity Termite & Pest Control. We are licensed and insured to implement the best pigeon removal methods to leave your home pigeon free. With five star reviews on Google and Yelp, and an A+ rating with the Better Business Bureau, we can successfully and professional rid your home of these unwanted flying pests. As a top rated Gilbert pest control company for over two decades, the team at Varsity Termite & Pest Control has experience in dealing with all kinds of pests, including pigeons. We are family owned and operated, and are proud to provide a personal, experienced touch for your pigeon problem. Through honest service and integrity, our customer base has grown over several years and continues to grow with our cost effective and exceptional pest control services. For top rated pigeon removal, contact Varsity Termite & Pest Control today! When you are looking for a reputable pigeon exterminator service in Gilbert, contact Varsity Termite and Pest Control. Our five star reviews on Google and Yelp speak for themselves, and we hold a continuous A+ rating with the Better Business Bureau. As a trusted and local, family owned pest control service, we provide honest, effective pigeon control and pest removal for residents throughout Gilbert. For more information, contact us today! Over 20 years ago, we started Varsity Termite & Pest Control with the sole purpose of providing the best termite and pest control services at affordable prices. Our top goal is to help friends and neighbors get rid of pests that could be potentially hazardous to your health, your children, and to your home. As a local termite and pest control company, we are equipped to handle the common pests that plague the Gilbert area. This makes us efficient and knowledgeable to help rid your property of unwanted pests. We implement effective pest removal and elimination for a variety of pests. Some pest companies offer a “one-size-fits-all” approach to pest control services. This is not a useful approach. Here at Varsity Termite & Pest Control, we are licensed by the state of Arizona and have years of experienced in the field and in dealing with different pest removal techniques for the wide range of pests we deal with. This includes ants, spiders, roof rats, pigeons, bed bugs, or any other unfortunate and loathsome critters that have crept their way into your home. We remove your pests with honesty, integrity, and efficiency! With the best pest control and pigeon removal services in Gilbert, we can give you peace of mind knowing that your family is safe and secure from all of the horrible, invasive creatures that often find their way into homes throughout Arizona. Owner Tony Kaufman has over 21 years of experience with pest control, and he and his company are more than capable to deal with all varieties of pests and infestations. When you find evidence of scorpions, termites, or even pigeons, don’t hesitate to call the pest control technicians and pigeon removal experts at Varsity Termite and Pest Control. Honest and reliable, we are qualified to help you keep your home pest free. At Varsity Termite and Pest Control, we think about the future of your home and the best ways to prevent pigeons from invading your yard. As these birds carry a library of parasites and diseases, and can even attract other pests, it’s no mystery as to why we would want to keep them from collecting on our lawns, rooftops, and surrounding trees. Once they find a suitable place to roost, they will never want to leave. This will leave your yard a disheveled mess filed with feathers, bird feces, and other unwanted debris they bring along with them as well as a horrible stench. This smell can get into your ventilation system and it will cling to the walls, making your home nearly uninhabitable. Along with this, their feces and feathers can block your ventilation systems, causing untold amounts of damage to your home that you may or may not be able to afford. So what is the solution? At Varsity Termite and Pest Control, our pigeon exterminators have been effectively getting rid of pigeons for years. With our proven track record for success, there is no one better to enlist to help rid your home of these flying critters than Varsity. Although pigeons are annoying and you want them gone, a lot of people would rather not have them killed – they just want them gone from their property. At Varsity Termite and Pest Control, our pigeon removal technicians will humanely trap and remove the birds from your property. Once they are gone, the pigeons will be relocated far away from your home. Not only do we help remove pigeons from residential properties in Gilbert, but we also give you some tips on how to make changes to your home so that it is unappealing for pigeons to roost and collect. That may include sealing up holes or blocking off areas that are attractive to pigeons for nesting. That may also include eliminating water and food sources around your property. 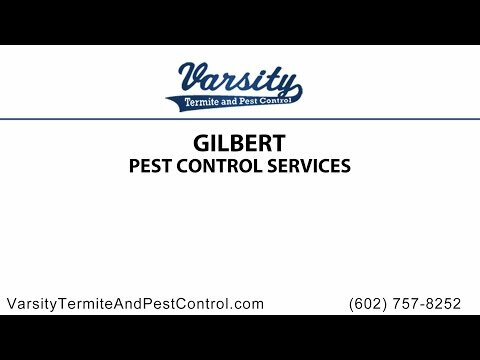 For more information about the Gilbert pigeon removal technicians, contact Varsity Termite and Pest Control today!